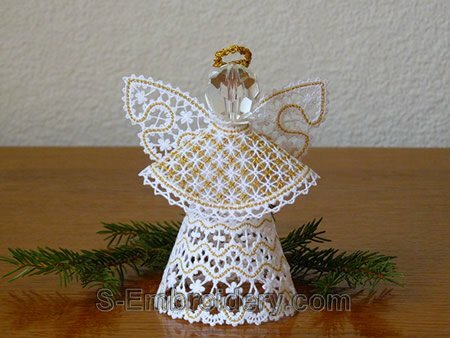 A finefree standing lace 3D Christmas angel. 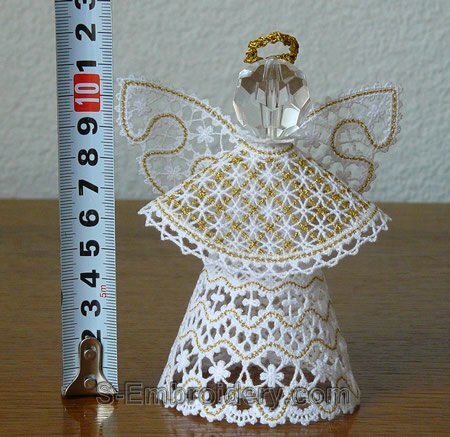 The ready angel is approximately 4.3 inches (11 cm) high. It is put together of 4 parts. Each of them will fit in 5x7 (130x180) hoops. The design comes with instructions in PDF format. 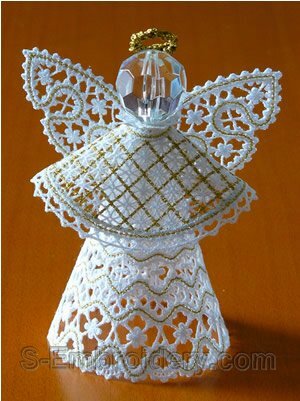 For creating the Christmas angel, featured on our web site you will need a bead for the head. We used one with a diameter of 1 inch (25 mm). 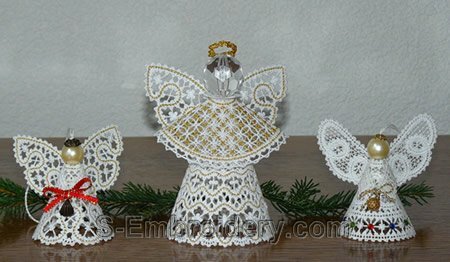 Note: The smaller angels on the last image are NOT included. They are shown just for comparison. 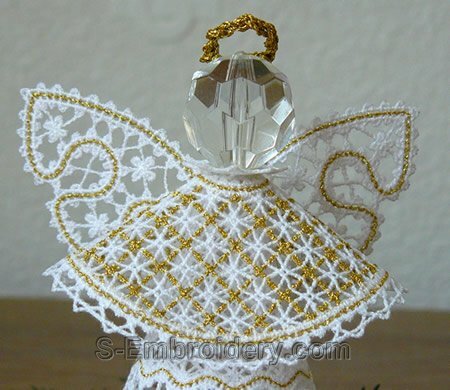 You can see what you can do with this design in our Customer embroidery projects gallery.